April 13, 2016, 10:57 a.m.
Last year, the Canadian daily became the first North American paper to introduce per-article payments. It’s found fewer takers than expected, but they’re buying more on average. By Joseph Lichterman @ylichterman April 13, 2016, 10:57 a.m.
As print advertising continues to evaporate and online advertising gets gobbled up by Facebook and Google, newspapers are turning to their readers to try and make money. 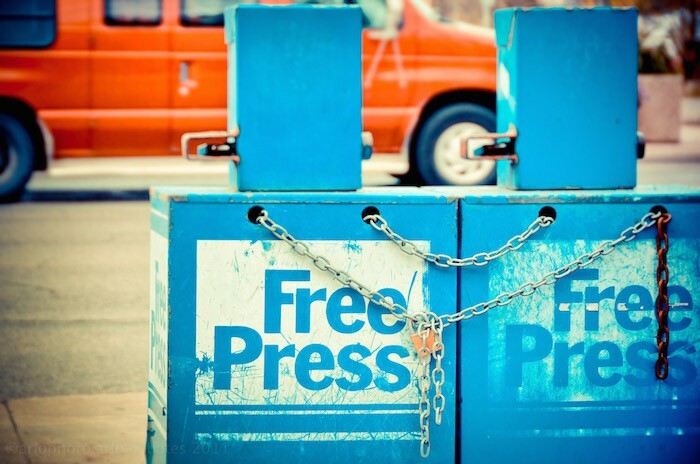 Nearly 80 percent of U.S. newspapers with circulations over 50,000 now charge for their coverage online, according to an American Press Institute study, the overwhelming majority via a metered paywall. In Canada, though, the Winnipeg Free Press is trying a different tactic: Last year, it became the first North American paper to introduce a micropayment plan that lets users pay by the article. Now, about eight months after fully launching the system, about 4,300 readers have bought at least one individual story. On average, readers who pay by the article are spending about $2 per month, Christian Panson, the Free Press’ vice president for digital content and audience revenue told me. In all, the paper expects to earn about $100,000 in digital revenue in 2016. Each individual story costs 27 cents (currently $0.21 U.S. — weak Canadian dollar these days), and addition to micropayments, the Free Press also offers monthly digital subscriptions that cost $16.99 ($13.28 U.S.) a month and give users unlimited access to its website and apps. About 4,000 people have become digital subscribers, Panson said; the paper says it expects to have 4,400 by year’s end. In addition, about 25,000 print subscribers have activated a digital account. The Free Press projects that it’ll make an additional $500,000 ($390,786 U.S.) from all its digital payment offerings in 2016, according to its parent company’s Q4 earnings report, which was released in March, with about a fifth of that total coming from micropayments. The Free Press’ parent company, FP Canadian Newspapers Limited Partnership, has a lot of catching up to do in terms of digital revenue. In 2015, print advertising accounted for 61 percent of the company’s total revenue; total digital revenue made up just 4 percent of the total, or $3.64 million ($2.85 million U.S.), well below even the low standards of American newspaper companies. FPLP generated $89 million ($69.58 million U.S.) in total revenue in 2015, $10 million ($7.8 million U.S.) less than it made in 2014. Last year, the company said it expected its 2015 digital revenue to grow by 10 to 15 percent, but FP Newspapers reported that its overall digital revenue actually fell by $200,000 ($156,379 U.S.), or 5.3 percent. It said a decrease in online classified ads and reduced advertising in its mobile apps accounted for the drop. “Our 2016 plan is to grow this revenue source back to the 2014 level or beyond by continually improving our digital product offerings and making small investments to promote both our desktop website and our mobile apps,” the company said. The Free Press anticipated that the paywall would result in a drop in traffic, and Panson said visits are currently down about 20 percent year over year. That’s an improvement from earlier months when traffic had dropped by more than 30 percent. Even before it put its new payment system in place, the Free Press was selling less than half of its available web ad inventory, so the change hasn’t impacted its online advertising, Panson said. Some have long seen micropayments — an “iTunes for news” — as a potential route to digital revenue. 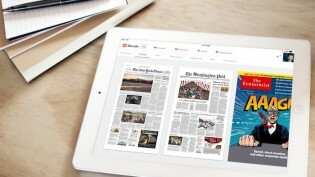 Last month, the Dutch platform Blendle launched in the United States with 20 publications — including The New York Times, The Wall Street Journal, and The Economist — posting stories that can be purchased individually to its site and apps. While most of the stories those outlets publish are available on Blendle, cofounder Alexander Klöpping told me last month that the platform isn’t really meant for breaking news or day-to-day stories. It’s those more heavily reported features or investigative stories that do well for the Free Press as well, Panson said, but the paper only publishes one or two of those stories each week. Like any newspaper, most of what the Free Press covers are the more incremental stories about local crime, Manitoba politics, or last night’s Jets game. The Free Press is still seeing growth on the digital front though even as it hasn’t quite met its expectations. Panson said the paper anticipated having 10,000 users sign up for the micropayment option and that those users would on average spend $1 per month. Though the paper has fewer of those users, they’re spending more than the paper expected. The Free Press has converted about 500 micropayment users into full digital subscribers by targeting users who are spending more than $9 per month buying individual stories, Panson said. “We’re still in our ballpark range of projected revenue from it, but we’re seeing this really effective funnel that we can take the highest value people in there and move them up the ladder,” Panson said. Converting users from buying single articles to monthly subscribers is key to the paper’s future growth. Panson said the paper knows that it will be a slow, tough climb as it figures out whether its tapped out the market for paying news consumers in Winnipeg. 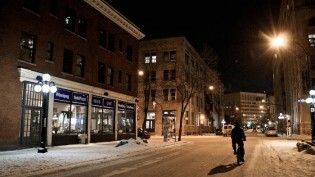 The Free Press introduced its digital subscription plan last February, and it encouraged readers to register with the site. It turned on the system in May and gave registered users a free 30-day trial before it began charging them. (It staggered the start of the trials to prevent its system from overloading.) The paper keeps track of how many stories each reader buys, then payments are made monthly. New signups still get a free 30-day trial, but the Free Press also lets readers access two stories for free, so when it scores a viral hit those readers weren’t required to register or pay for the story. This happened in January when the Free Press received more than 1 million pageviews — its most popular story ever — on a report about a local woman who got ill while on vacation in Cuba and was evacuated to Florida, where she ultimately died. “It sold a lot, but it doesn’t generate a huge amount when they’re one-and-dones,” Panson said. Though the Free Press has no imminent plans to tweak its model, Panson said the paper is looking into a few ideas as it tries to attract digital subscribers, especially as it has access to more data about the types of stories that are successful. It’s considering charging more for bigger stories or holding “happy hours” where stories would be cheaper for a set period of time if it wanted to generate more traffic. The paper also has email addresses for 180,000 registered users that it could use to target potential subscribers. The Free Press, Panson said, is going to continue to market its paid digital offerings as it tries to convince readers in Winnipeg and throughout Manitoba that journalism is worth paying for. Photo by Arlo Bates used under a Creative Commons license. POSTED April 13, 2016, 10:57 a.m.
Lichterman, Joseph. "The Winnipeg Free Press’ bet on micropayments will generate about $100,000 in revenue this year." Nieman Journalism Lab. Nieman Foundation for Journalism at Harvard, 13 Apr. 2016. Web. 19 Apr. 2019. Lichterman, Joseph. "The Winnipeg Free Press’ bet on micropayments will generate about $100,000 in revenue this year." Nieman Journalism Lab. Last modified April 13, 2016. Accessed April 19, 2019. https://www.niemanlab.org/2016/04/the-winnipeg-free-press-bet-on-micropayments-will-generate-about-100000-in-revenue-this-year/.